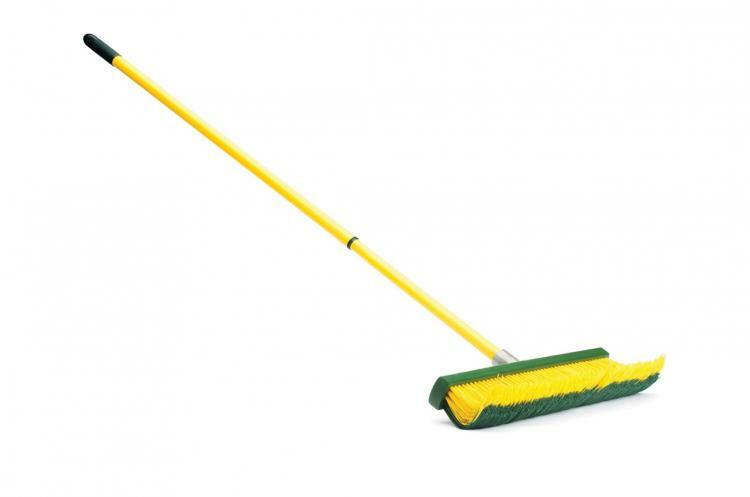 Usually when I sweep my garage, I just push crap around and fling it into the air, creating a cloud of dust and debris that goes straight to my lungs for a nice tasty snack to cough up later. That may have something to do with the quality of broom I purchased, or it may have something to do with my brooming technique. 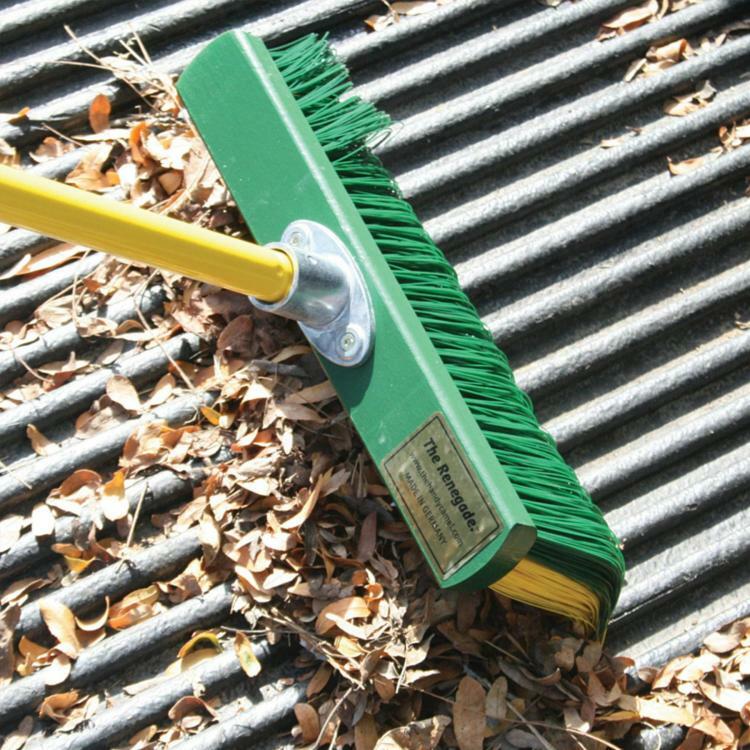 The company The Handy Camel has made a unique broom that was designed like a rake with curved bristles, to not only better contain what your sweeping, but to also work on pretty much any surface you'd like to clean or gather debris. 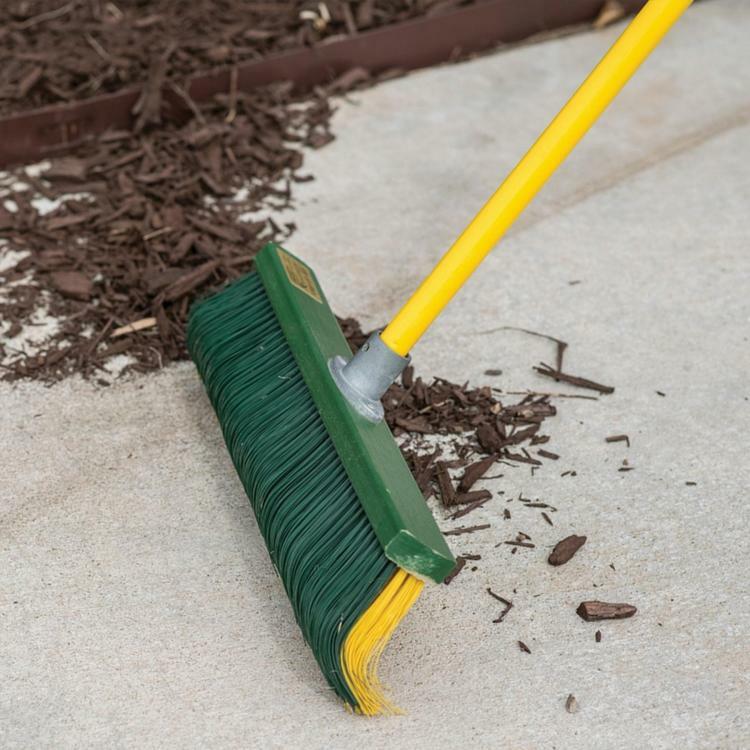 Perfect for use on uneven surfaces like stone, brick, wood, or even the back of your truck, the uniquely shaped bristles on the broom allows you to get more surface contact by adhering to whatever shape the surface is that your sweeping. 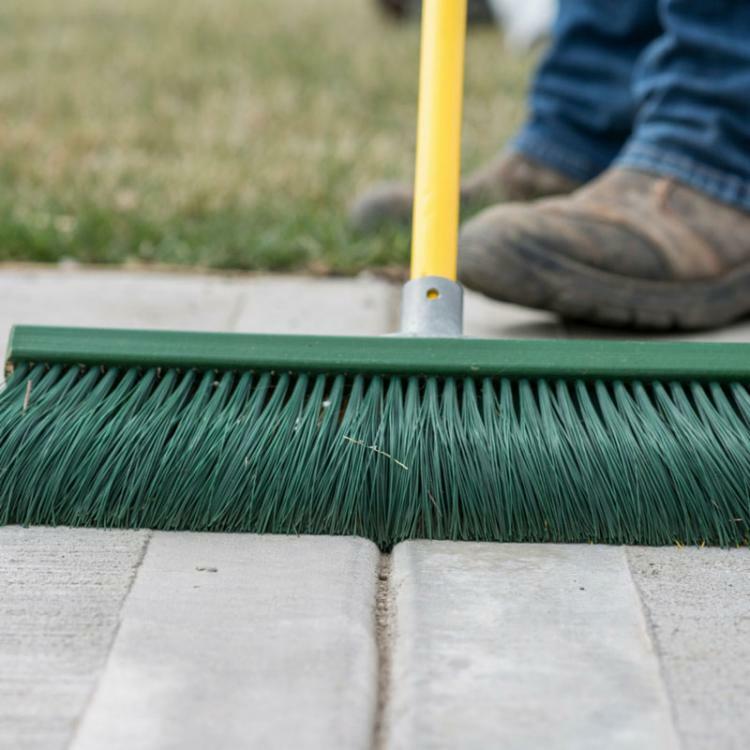 Using the arched bristle technology on the broom, you can even sweep up and clean debris on your grass, gather up wet leaves, clean up dirt, pine needles, and even light snow on a walk path. 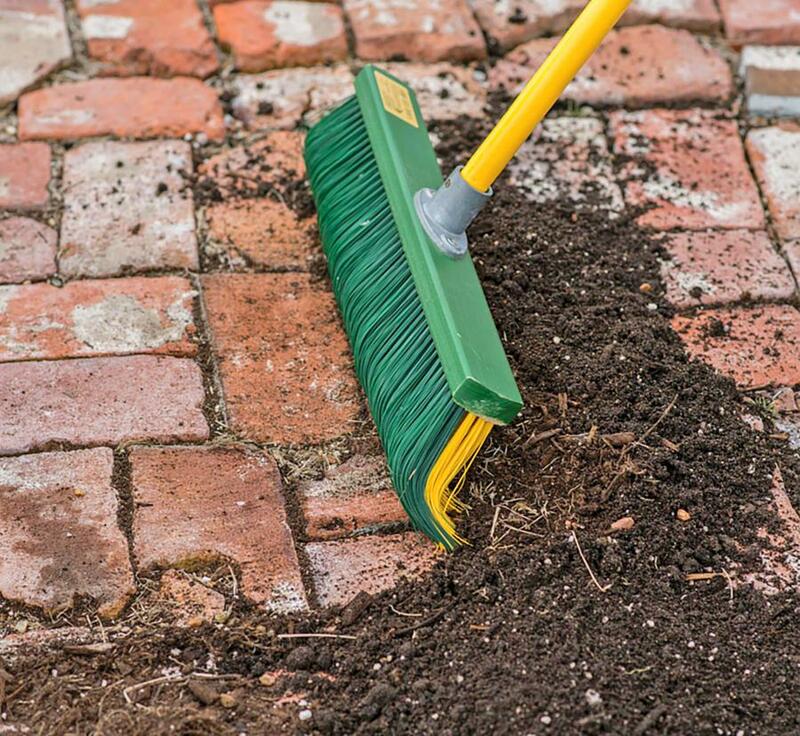 Normal things that your regular broom can't move or gather-up, the Renegade broom has no problem with. 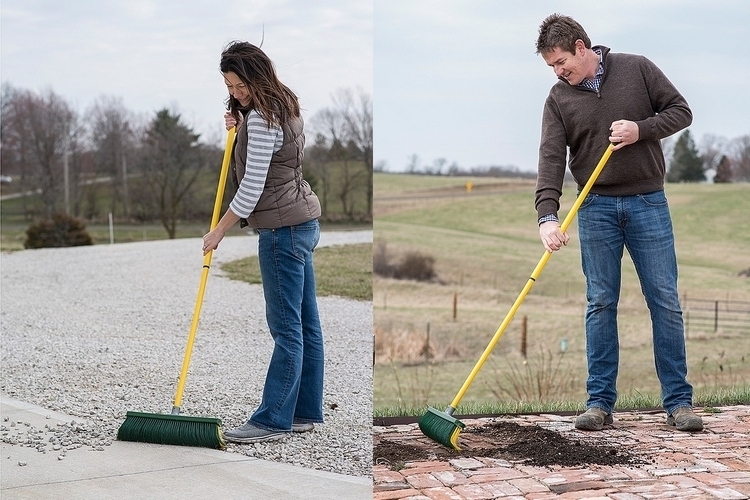 The Renegade broom with curved bristles features a telescoping handle so you can use it at your perfect height every-time, and is designed to be used as a pull broom to gather and pull the dirt and debris towards you instead of pushing it away from you. 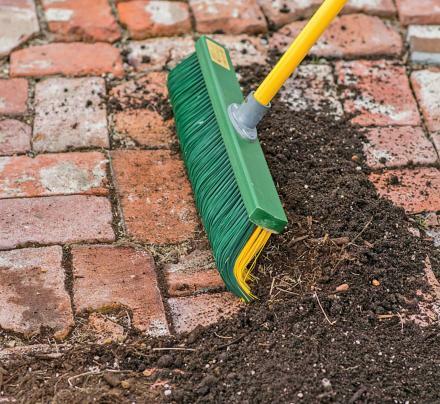 This way, you'll get more surface contact with the bristles allowing you to pick-up and gather much more dirt and debris that traditional brooms would leave behind. 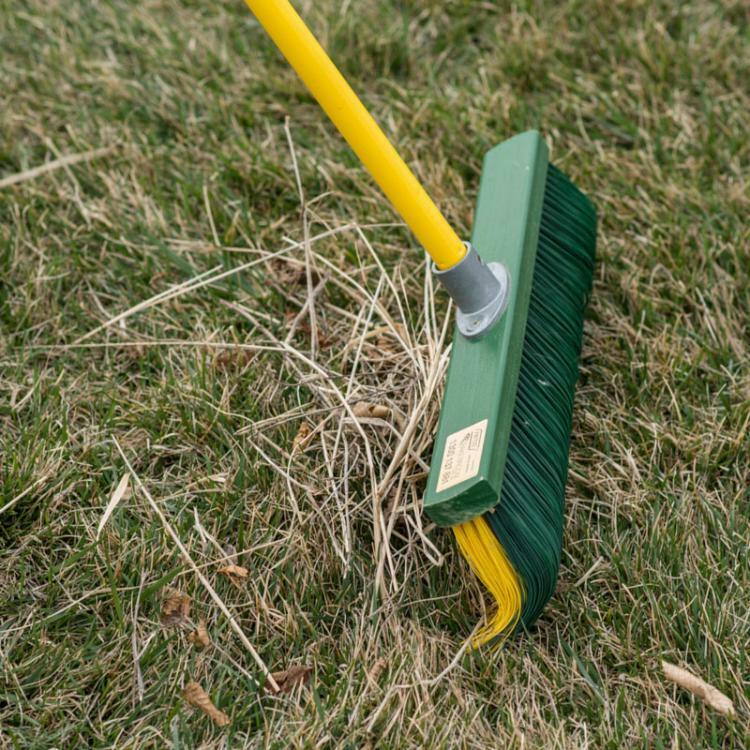 Check out the Renagade broom with curved bristle technology in action via the video below.